The long-range objective of Dr. Faustman's research is two-fold: to identify biochemical mechanisms of developmental toxicity and to develop new methods for the evaluation of health risks posed by environmental agents. Major research efforts in the laboratory are currently directed towards metals, primarily methylmercury, arsenic, cadmium, pesticides, such as organophosphates, benomyl and N-Nitroso compounds, and other known carcinogens, mutagens and teratogens. In vitro experiments are performed using primary rat embryo cell cultures for CNS and limb tissues, and embryonal carcinoma cells to investigate mechanisms of developmental toxicity of these agents. Embryonal fibroblasts are also isolated from transgenic animals and used to evaluate the role of specific gene pathways in toxicant induced developmental effects. Dr. Faustman's efforts in risk assessment include an effort to combine results derived from laboratory experiments to develop mechanistically-based toxicokinetic and toxicodynamic models of developmental toxicity. Additionally, Dr. Faustman is involved in the development of new methods applicable to both cancer and non-cancer risk assessment. Currently, techniques are being developed to enhance our understanding of the cellular and molecular factors involved in normal and toxicant-perturbed neurodevelopment. Methodologies include microarraImp Risk Mgt & Regy genomic and proteomic analyses for assessment of molecular impact of neurotoxicants of changes at the level of protein expression and function. Please contact the researcher listed with the individual project for more information on research opportunities. The development of markers of toxicant effect that can be used to identify early adverse health risks from exposure to environmental agents is the focus of this effort. By detecting subtle, pre-clinical changes in health prior to the appearance of clinical symptoms, it may be possible to develop intervention strategies that can lead to a reduction in morbidity. One project involves the use of uroepithelial cells from individuals exposed to heat stress or heavy metals to look for molecular changes in stress response genes. Other projects examine sensitive developmental endpoints to understand early indicators of toxicant impacts following in utero exposure. The utilization of microarray techniques presents researchers an exciting and novel avenue in the assessment of toxicant induced changes in neurodevelopment. The goal is to couple these techniques with our existing methodologies to enhance our understanding of normal and perturbed neurodevelopment. Contact Dr. Jaspreet Sidhu at sidhu@u.washington.edu for more information. Methylmercury is a known human developmental neurotoxicant. However, the primary mechanisms through which it inhibits development of the nervous system are not established. Current efforts to elucidate the mechanisms of toxicity of this agent include evaluation of the effects of methylmercury on the dynamics of cell cycling (i.e., changes in cell cycle genes and proteins following metal exposures), alterations in mitochondrial function, stress activation, proteasomal perturbation and apoptosis in the primary rat embryonic CNS cells. Mechanistic experiments are underway to determine how gene changes observed in the methylmercury exposed cells are related to these cellular processes. Work is also being done to expand this research to include solvents. Experimental procedures utilizing both microarray and 2D-PAGE/MS analyses will further our understanding of such processes. Over the last five years, the Faustman lab has been performing basic research into the molecular controls underlying metal-induced neurodevelopmental toxicity. Using primary cultured neuroepithelial cells derived from the developing midbrain as the experimental model and transgenic animals, this research has explored the role of several cell cycle regulatory proteins, primarily p21 and p53, but also their upstream and downstream effects. Current efforts are focused on the possible role of altered mRNA and protein degradation in the observed alterations of these cell cycle regulatory molecules by metals. Experimental procedures utilizing both microarray and 2D-PAGE/MS analyses will further our understanding of such processes. Findings observed in vitro will be confirmed in vivo. Taken as a whole, such research will provide a basis for evaluating the effects of metals as developmental neurotoxicants and will provide a molecular basis for observed toxicity of metals on the developing nervous system. The estimation of human and ecological health risks from environmental agents, including both carcinogens and non-carcinogens, is based on risk models that use uncertain parameters. The key goal of this research project is to improve how we incorporate new scientific data and information into human health risk assessments. Towards this goal we have developed biologically based dose response (BBDR) models that show how to link basic mechanistic data from molecular and cellular toxicity studies with toxicological outcomes. We have focused our models on highly sensitive developmental periods. Contact Dr. Jaspreet Sidhu at sidhu@u.washington.edu for more information. Because of the tremendous resources that are committed to environmental control and remediation based on risk models, it is important to determine the level of uncertainty in these models. In addition to quantitative uncertainty analysis, there is a need to examine the gain expected from reducing parameter uncertainty (i.e. value-of-information analysis) and the effect on the decision outcome (i.e. decision analysis). Several projects are currently underway to address these issues including quantitative uncertainty analyses in exposure modeling, value-of-information analyses of improved biomarker information in risk assessments, and decision analysis to optimize worker protection by selecting from alternative medical monitoring strategies. Gene chip microarrays are a new technology that can be used to inexpensively assay the expression of thousands of genes simultaneously. Because thousands of gene expression levels are measured this provides a new opportunity for constructing assays that may be able to more precisely describe human response and health effects from exposures to environmental pollutants. But, at the same time, it presents a challenge because it expands the amount of data available at a single time by a factor of thousands, complicating the process of understanding and sorting through the information. This project explores how methods from environmental health, bioinformatics, statistics and computer science can be used to help investigators in this process. This field is only beginning and there is a need to design strategies to take advantage of the strengths of many scientific disciplines in order to realize the potential of this new technology in public health. The Center for Child Environmental Health Risks Research is another major IRARC research effort. The Center is jointly funded by the US Environmental Protection Agency (US EPA) and the National Institute for Environmental Health Sciences (NIEHS). Center researchers are working to understand the biochemical, molecular, and exposure mechanisms that define children's susceptibility to pesticides. In addition, researchers are working to assess pesticide risks to normal development and learning. What are the age- and pesticide-specific factors that must be considered in developing kinetic models for children of different ages, exposed to different levels of chlorpyrifos, arsenic, and azinphos methyl? How can we examine our current pesticide models to identify which parameters are most important in predicting pesticide blood levels following exposure? How can we include normal interindividual and other sources of variability in our modeling predictions? This project entails studying the mathematical sensitivity analysis and Monte Carlo techniques, and then the incorporation of these techniques into an existing pesticide exposure model. Organophosphate pesticides such as chlorpyrifos are widely used in both agriculture and the home. While chlorpyrifos is not grossly teratogenic except at very high doses, anomalies in cellular function and behavior have been seen following the exposure of neonatal rats to lower doses. The aim of the current project is to expand our knowledge of how this compound and its metabolites affect cellular differentiation events, focusing on cell cycle progression and apoptosis. This project will hopefully provide correlative biochemical data for another project, which will examine the behavioral responses of mice being exposed to chlorpyrifos during development. How can we mathematically model the toxicological impacts of pesticide exposures during development? How do these impacts relate to neurobehavioral impacts? Processes of cell cycle disruption and acetylcholinesterase inhibition, two of the most sensitive indicators of pesticide toxicity need to be evaluated for their contribution to the overall toxicity of pesticides. This project will require an analysis of the cell cycle models generated in the Faustman lab and examination of acetylcholinesterase inhibition data in order to generate dynamic models that simulate toxicity following pesticide exposure. This is a focus of research for the Center for the Study and Improvement of Regulation. A joint project between Carnegie Mellon University and the University of Washington; the mission of the Center is to examine and to improve existing environmental, health and safety regulations at the federal, state and local levels by providing frameworks for incorporation of new technologies and application of new science. An important emphasis of these projects is an assessment of risk management options and approaches. Consumption of contaminated fish is a major route of exposure to biotoxins including domoic acid. Since domoic acid has been associated with neurobehavioral deficits following epidemiological human exposure, there are concerns about this exposure particularly for children and groups such as Native American tribes and Asian and Pacific Islanders with high rates of fish consumption. Our research has focused on analytical needs for testing of fish to assess potential health risks for all consumers. We are also looking at the human dietary and behavioral factors that influence susceptibility to domoic exposure and health risk. This has included probabilistic modeling work and consideration of cost using value of information approaches. This work is part of the newly funded Pacific Northwest Center for Human Health and Ocean Studies. The Fast Environmental Regulatory Evaluation Tool (FERET) is designed as a computerized benefit-cost template that has been developed from US EPA air pollution models to assess the potential health and economic benefits from reducing air pollution. We have taken the complicated benefit-cost models used within federal regulatory agencies and made it user-friendly for stakeholders. Benefit-cost analysis is being used at the federal and state level to evaluate new regulations and regulatory alternatives. Future work will expand the current module dealing with air pollution issues to ground and surface water regulatory issues and to focus on children's health issues. Regulatory policies must sometimes weigh the relative beneficial and detrimental effects of such varied things as fish consumption (versus exposure to fish contaminants), breast feeding (versus exposure to fat-soluble environmental contaminants), eating fruits and vegetables (versus exposure to pesticides via the food chain), and drinking water chlorination (bacterial versus chemical risks) in order to maximize public health. Although quantitative methods are commonly used to evaluate health risks, such methods have not been generally applied to evaluating the health benefits associated with modifying environmental exposures. A quantitative method for risk-benefit analysis that allows for consideration of diverse health endpoints is being developed. Translational research converts environmental health science findings into tools that can be applied by health care providers, regulators and community residents to improve public health outcomes. Several IRARC projects seek to make our research more transparent and accessible to policy-makers, stakeholders and the general public. The Child Health Center's research mapping initiative translates and communicates scientific findings to a broader audience of stakeholders in a way that facilitates dialogue among them. The project will develop an integrated framework that identifies a) what we know about pesticide risks and children's health (from both scientists and interested parties), b) what we are learning from our current studies c) how this information can be used to inform public health and policy to improve children's health and d) what we still need to learn in order to address these issues (i.e., critical data needs). This project would be appropriate for a student interested in methods development for risk assessment, risk management and risk communication, with an obvious emphasis on policy. Coordinated efforts between oceanographic, public and environmental health research communities are needed to assess the risks to human health generated by the oceans. Linking research among members of the scientific community is no small task given the variety of research questions, data collection and analysis methods and reporting techniques and formats utilized by these groups. 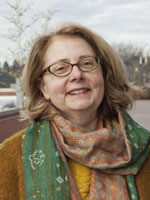 Within the Pacific Northwest Center for Human Health and Ocean Studies an Informatics Facility Core has been established to overcome the barriers involved in sharing, interpreting, translating, documenting and archiving data and information in an interdisciplinary and true collaborative research setting. Students participating in this project will focus on two broad goals. The first is to facilitate transparent data, information and knowledge exchange among scientific researchers. The second is to facilitate the framing and informing processes required to place Center research in a broader policy context. There is the opportunity to work with four subgroups: risk evaluation, data integration, GIS and visualization, and outreach. As human inhabitation and use of coastal areas increases, so does the incidence of aquatic-borne disease from contact with contaminated water, toxic algal blooms and eating contaminated marine food products. While research has shown that urbanization alters water quality, the relationships between oceans, human health and urbanization are poorly understood. This project is developing an integrated spatial framework to quantify and assess the relationships between urban development, environmental stressors (pollution, pathogens), human exposure and associated effects on marine ecosystems and human health. We are collaborating with the UW Urban Ecology Laboratory on this project, which is funded by the US EPA, Region 10 Regional Geographic Initiative. A major part of our contribution to the project will be providing the exposure and health risk assessment frameworks and data for the Pacific Northwest Center for Human Health and Ocean Studies.